While ageing is inevitable, these six super foods delay the ageing process besides ensuring a healthy life in the later years. Ageing is associated with senility, frailness of health and lack of energy. But science says that we can control our ageing by choosing what we put on our plate. The way we make investments to ensure enough funds to live on comfortably when we retire, we need to make investments — beginning right now — for our health too. We can then have a say in our biological ageing — which is really a measure of how well our body continues to function. There are some superfoods that can keep us biologically young and help turn the clock back too. 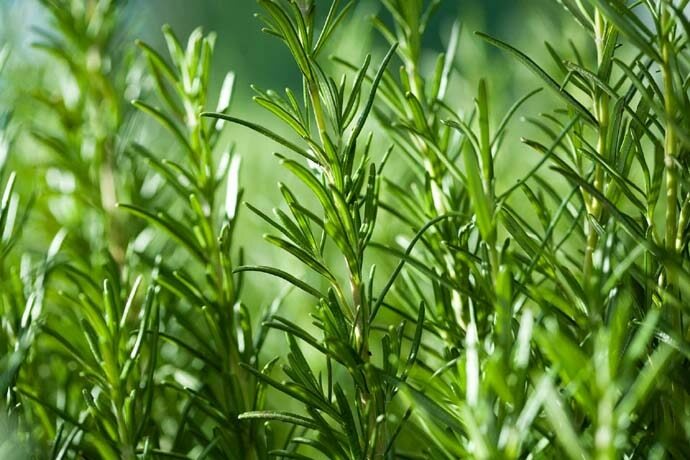 Rosemary belongs to the carminatives group of herbs, which also includes spices like jeera (cumin) and saunf (aniseed). Rich in aromatic oils, these soothe the gut wall and ease flatulence. Rosemary also helps inhibit damage to the lipid (fat-based) that is an integral part of key organs like nerves and the brain, help keep the skin supple and vital organs cushioned, as we race through life. Two of the most important ingredients in this herb are caffeic acid and rosemarinic acid — both potent antioxidant and anti-inflammatory agents, which help keep the brain healthy. Rosemary oil is a great anti-depressant too. Eat it: Sprinkle over chicken or vegetable soup at dinner. Or add liberally to your sandwiches and salads. Orange is a very powerful anti-ageing food. The secret lies in its high vitamin C content, which is an effective antioxidant. 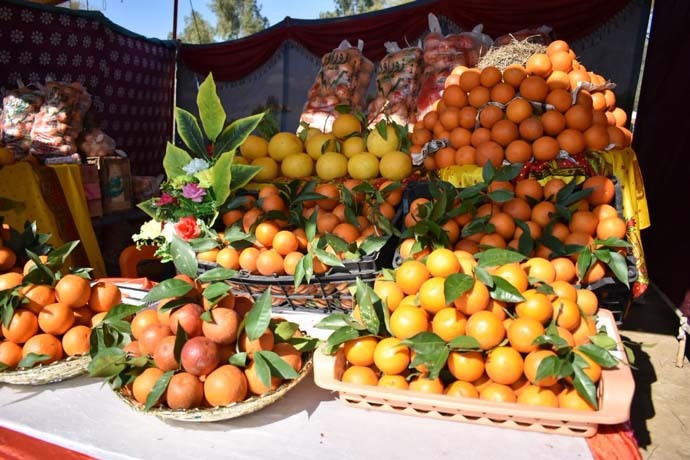 It is also loaded with phytonutrients like citrus flavonoids, anthocyanins, hydroxycinnamic acids — which in combination with the orange’s vitamin C stores maximise the significant antioxidant properties of this fruit even more. Eat it: Just peel the fruit, bite into the segments and let the juices flow. It is a pre-portioned dessert, comparable to candy. Or try a fruit salad with a savoury twist. Chop up your favourite fruits, including a liberal amount of oranges. Add some grated cheese (it combats hyperacidity) and honey. Throw in some mint leaves. Pour lemon and pineapple juice over it. Garnish with roasted nuts and indulge. Or toss segmented oranges with grated carrots and salad leaves and dig in. Fish is brain food. Those who eat fish experience a slower decline in mental function as compared to those who don’t eat fish as often. Omega-3 fatty acids in fish strengthen memory performance and decrease the slowing of mental faculties as we get older, and also help tackle the onset of other age-related ailments like arthritis, heart disease, high blood pressure. 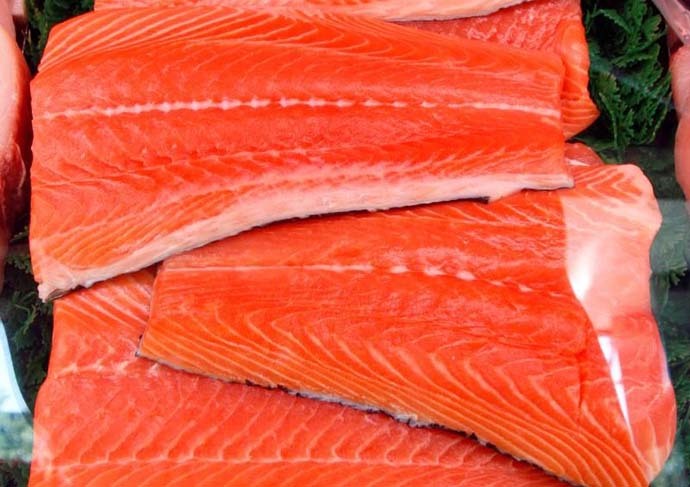 Eat it: Try your salmon (or Indian salmon – better known as rawas) lightly grilled. Wash, pat dry and salt the fish lightly, then brush with a minimal quantity of oil on the skin side. Lay in a well-heated heavy-bottomed non-stick pan and cook till opaque. Turn it over and cook till flesh flakes on testing with a fork. Serve with a kachumber-type salad or salsa, some South Indian-style lemon-rice and a little mustard or wasabi paste to use on the fish. Or try lightly rubbing the Hilsa fish pieces with a little salt and haldi (turmeric), coat with mustard paste — made by soaking yellow sarson (mustard) seeds overnight and grinding to a paste —with a little grated coconut, salt and chopped chillies. Place in a tightly covered container with a spoonful of mustard oil poured over. Balance the container on an upturned bowl in a dekchi of boiling water and cook 7-10 minutes. Eat with plain boiled rice. Dairy and poultry (milk, cheese and eggs) are powerhouses of vital nutrients — especially calcium and protein. But if you are finding it difficult to digest these then stick to simple dahi (plain yoghurt). 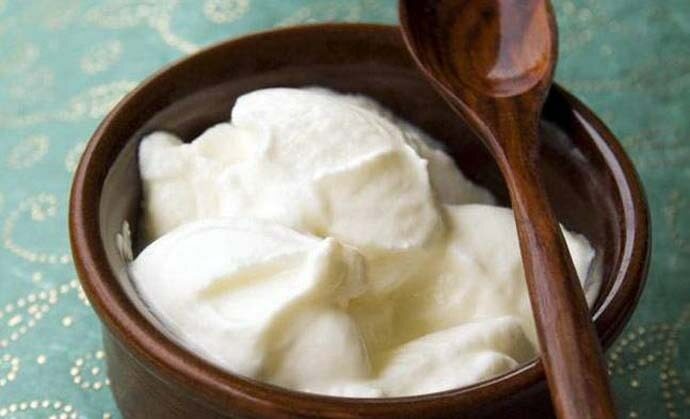 Yoghurt has all the benefits of other dairy foods plus probiotics — that help add healthy bacteria to the intestines. These ‘good’ bacteria will keep your digestive tract in good shape and boost immunity as well. High calcium ensures that your teeth and bones chug along fine. Yoghurt is an excellent skin food too because it assists in the production of collagen — helping to reduce signs of ageing. Collagen is the protein that acts as the ‘glue’ to bind together connective tissues and skin giving skin a firm and youthful appearance. A natural source of vitamin C, zinc and calcium, nutrients in yoghurt hold the collagen together. Eat it: Include a dollop of yoghurt with your morning cereal (yes, it’s nice even in porridge) or blend some into a fruit smoothie or lassi. Always opt for the plain, unsweetened option. Phytochemicals — the naturally occurring plant compounds that have antioxidant properties and enhance immunity — present in broccoli boost our body’s natural defence system extensively. Chemicals like sulforaphane regulate the production of antioxidants in the body, which prevent free radicals from causing damage to the system. 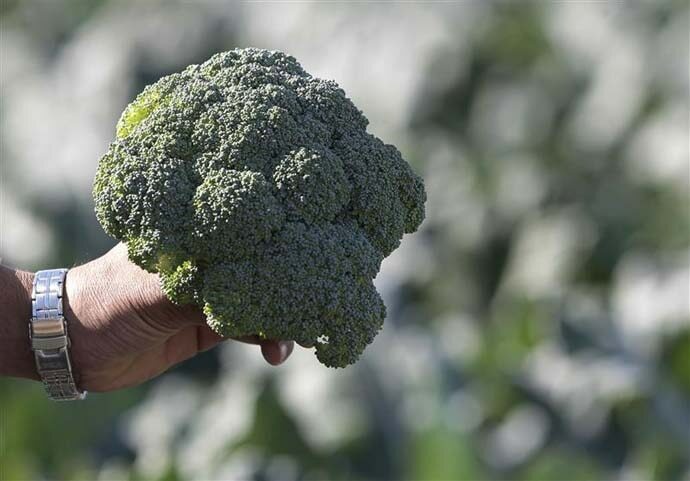 Younger broccoli has approximately 50 times more phytochemicals than a fully mature stalk. The darker the green of the broccoli and the tighter both the whole head and the buds are, the younger it is. Avoid ones with a yellowish tinge around the edges, with ‘flowered’ yellow blooms, or withered dry leaves. Eat it: Brush a baking tray with low-fat margarine or cooking spray, place broccoli florets in it and bake after sprinkling a couple of tablespoon water on it. Add salt and fresh-ground pepper. Or make broccoli soup. Death by chocolate… or life by cocoa! Chocoholics need not be guilty any more. Dark chocolate (not milk chocolate, though – sorry, it’s too ‘dilute’ and too sweet) is also a superfood that may put the brakes on the ageing process as it is brimming with antioxidants. Antioxidant foods are rated by their ORAC — Oxygen Radical Absorbance Capacity – the food’s ability to claim free radicals. Dark chocolate also contains a neat dose of flavanols — a set of heart-healthy compounds — which help boost the production of nitric oxide in blood vessels, lowering blood pressure and improving blood flow. Eat it: Avoid fancy bars, puddings, cakes and biscuits, even flavoured drinks — only eat plain dark chocolate or add some pure cocoa powder to your milk. 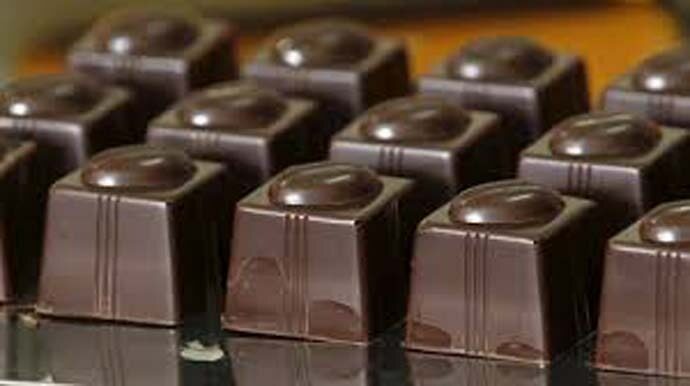 About 100 calories of dark chocolate daily is a permissible ‘health treat’ I’d say.